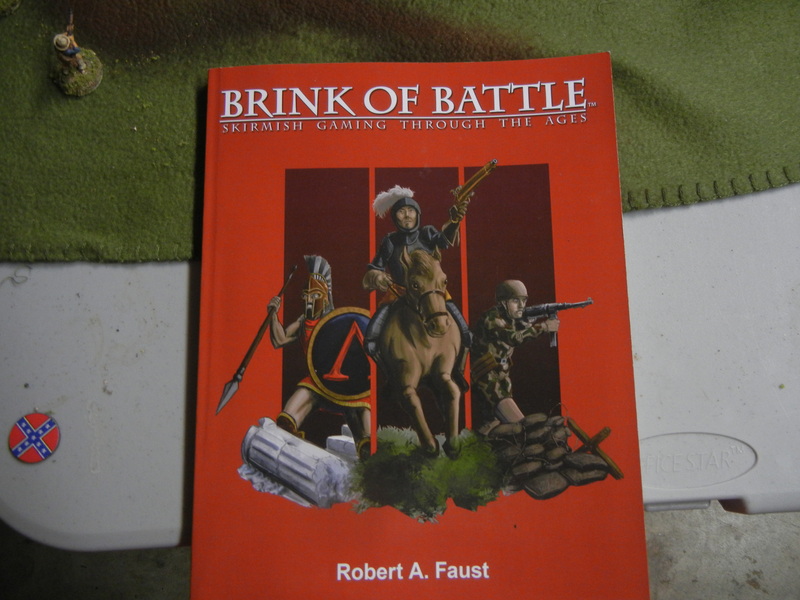 Brink of Battle: Skirmish at Cockroach Creek! I tried out the Brink of Battle skirmish rules this afternoon. It was a solitaire game as I wanted to take a look at how the gaming system operated. So without further ado, I give you Skirmish at Cockroach Creek! Background: It is 1905. Most of the major powers have been economically devastated by a Great War. Two of the unscathed ones, the United States and Imperial Germany have maintained an icy detente…until now. The German Empire has finally decided that now is the time to put the upstart Yankees in their place and seize territory in the Caribbean. Neither the British or the French are in any shape to oppose them. The Germans begin their invasion by landing troops in Florida. They are hoping that a quick victory will bring the Americans to the bargaining table. 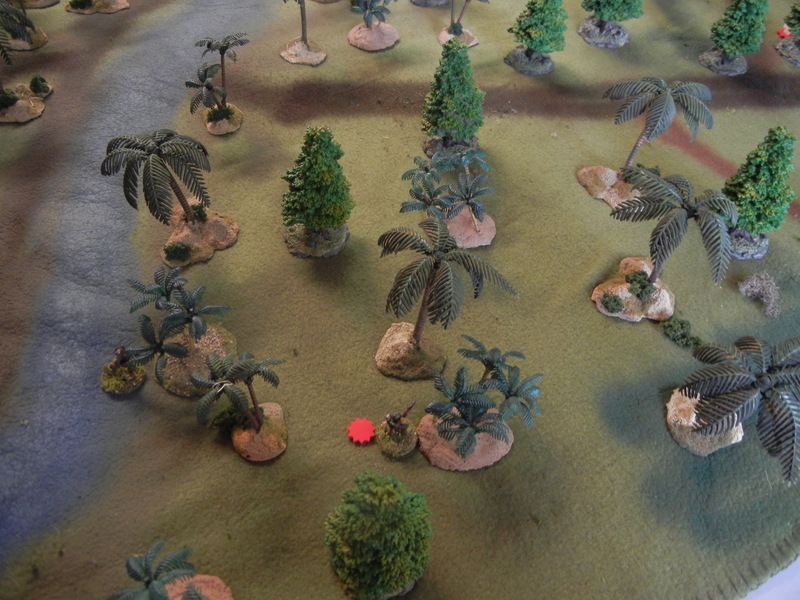 The vanguard of the German assault force is heading for Tampa when they first encounter a squad of Florida National Guardsmen near the banks of Cockroach Creek. 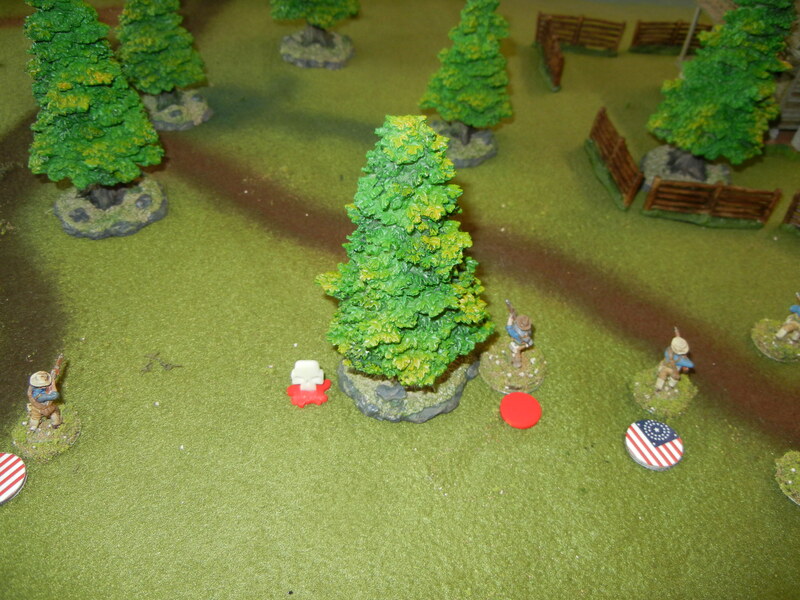 As the Sentry Player, the Americans set up first. One of the big problems facing them was the fact that they only had 5 Activation tokens for an 11 man unit. This problem would plague them for the rest of the short, sharp encounter. Part of the American squad advancing in skirmish order. Another view of the American line. 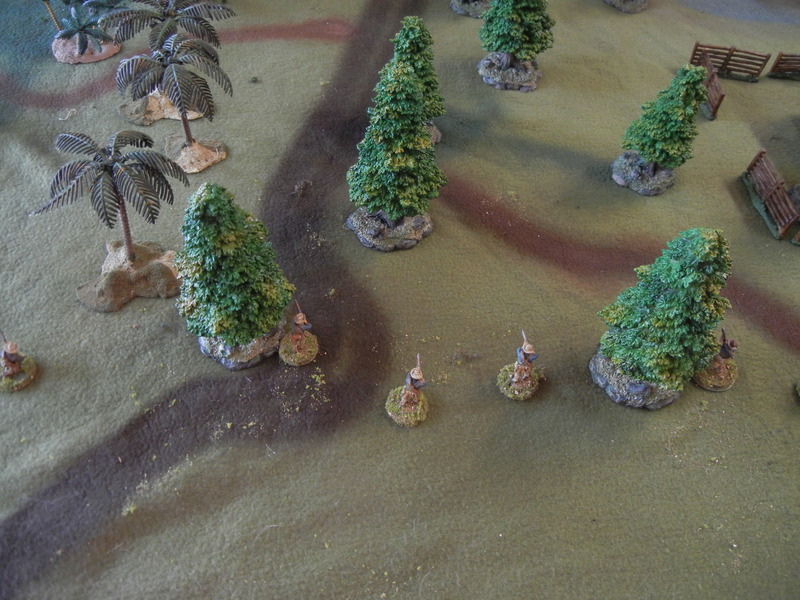 At this point, Pvt Wehmeyer of the Brandenburg Fusiliers after taking careful hit Pvt Fritzlar who dropped like a rock. The unit leader, CPL Wainwright, failed his morale roll and bolted for the rear. Private Bowman is hit and dies instantly shot through the heart. Private Funston breaks and joins Corporal Wainwright in headlong retreat. A revenge of sorts is extracted on the Germans. 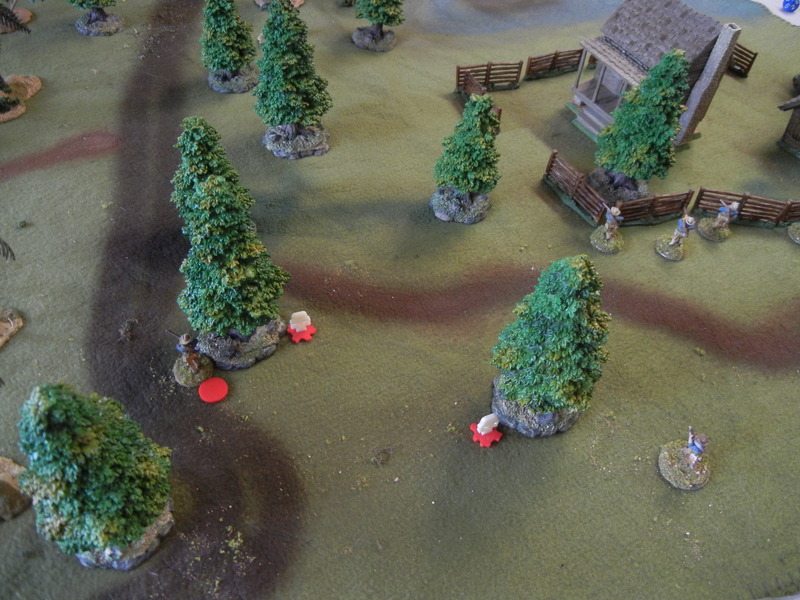 Private Wernicke is slighty wounded. This was the only casualty that the Germans suffered. 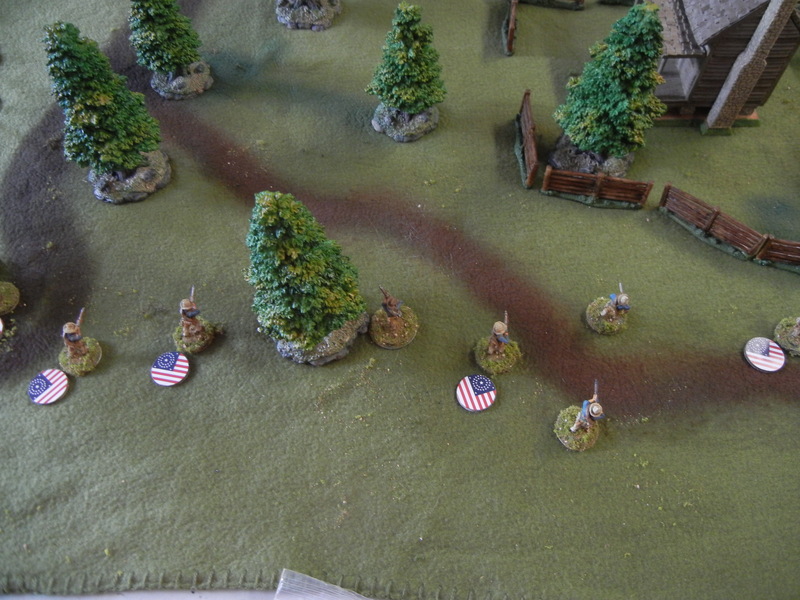 After that, I concluded that the Americans would be pulling back. Which they did. Until next time, Have Fun and Play Games!